More than two dozen residents of Rupununi are to be evacuated and at least 20,000 others across Region Nine (Upper Takatu-Upper Essequibo) have been severely affected by floods caused by heavy rainfall and overflowing rivers in recent days, officials said Sunday night. Region Nine Chairman, Bryan Allicock said 26 persons would be evacuated Monday because their homes have been inundated with several feet of water due to heavy rains in Guyana and neighbouring Brazil. The residents are to be taken to the Arapaima Primary School, Amerindian Hostel and Culvert City Nursery School that have been converted to emergency shelters. “We have to evacuate some residents within Lethem township and the water is still coming up,” he told Demerara Waves Online News. Allicock said the Tabatinga Creek and the Takatu River have overflowed their banks because the Rio Bronco in Brazil is filled to capacity and is backing up in the other tributaries. 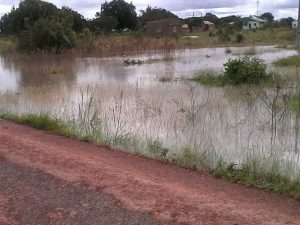 Farms in at least 50 villages , the Regional Chairman said, have been destroyed by the flood waters at a time when villages such as Parishara, Nappi and Hiowa have been cut off from Lethem as a result of the now deplorable conditions of the roads. “There are fifty villages affected so far. 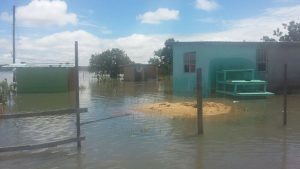 Most of the farms are under water but no house has collapsed yet but access to the South is being denied because the river is flooded and there is water in the savannas. Some creeks that normally cross are now flooded so there is very little movement in the villages,” he said. Allicock estimated that at least 20,000 residents in the 50 villages have been affected by the flood. Based on the outcome of a meeting held Sunday night, the Regional Chairman said representatives of the Civil Defence Commission (CDC) are due to visit a number of the flood-affected areas on Monday. The Regional Chairman said some residents are salvaging remaining cassava and are making farine, but they will be in desperate need of emergency supplies of rice, sugar, flour, oil and peas. Toshao for Aishalton village, Douglas Casimero said the major worry for residents in his village is the fact that supplies from Lethem located 162 kilometers away could not be transported to Aishalton. “We usually ourchase our supplies from Lethem and vehicles are cannot reach to Aishalton because of the high water,” he said. Casimero said water has not entered houses but cassava farms have been flooded. 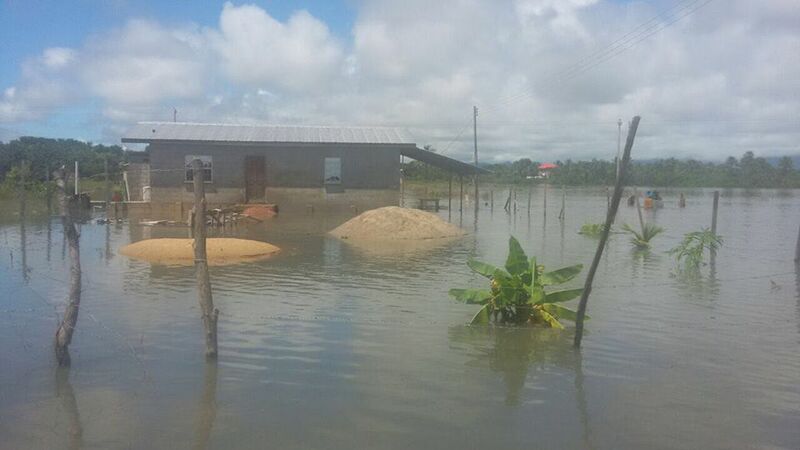 Several coastal and interior areas of Guyana have in recent weeks been flooded due to heavy rainfall.